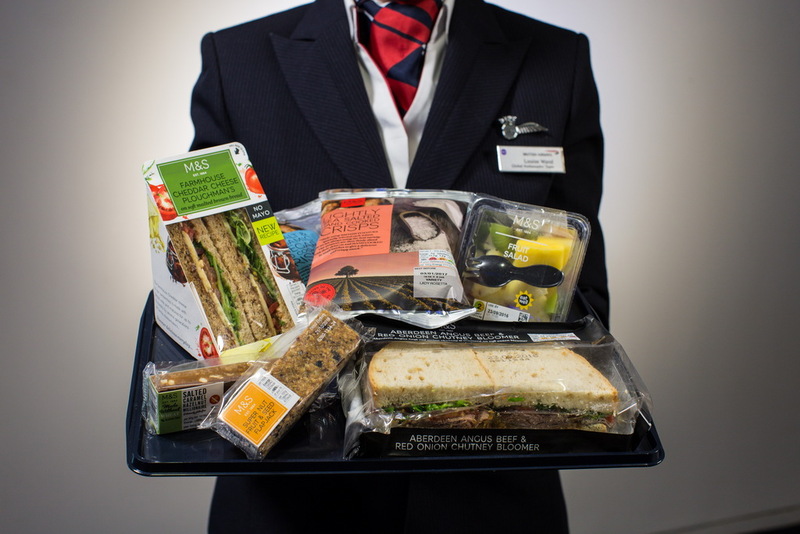 BA to stop offering free food and drink in short-haul Economy – even water! 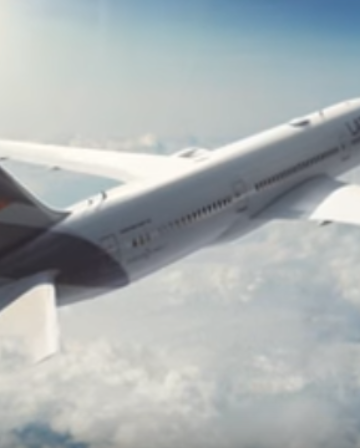 On Tuesday, InsideFlyer received confirmation from BA CEO Alex Cruz of the news that many of us had long been predicting: starting 11 January 2017, BA is to join sister company Iberia in removing free food and drink in short-haul Economy Class. 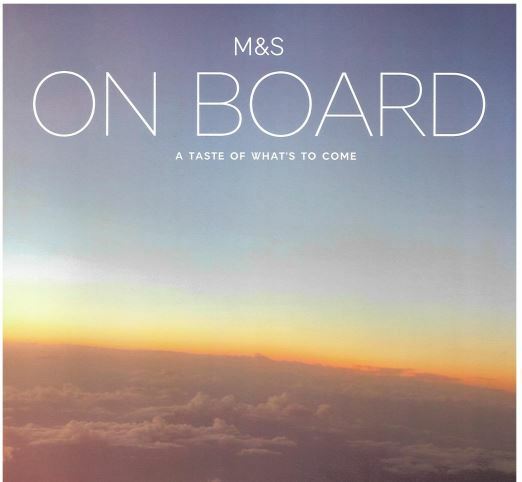 The new “paid for” food menu is to be provided by British institution Marks & Spencer, as part of its “Food on the Move” range (if you’re really enthralled by this news, see a video of some of the food items here… and then take a good long hard look at yourself). The service will be rolled out from Heathrow and Gatwick on 11 January 2017, and from London City and London Stansted by Summer 2017. 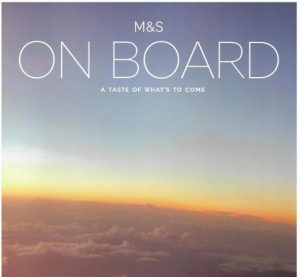 While I obviously can’t comment on the quality of M&S’s hitherto non-existent in-flight dining offering, I am a big fan of M&S food. That said, I am easily pleased on a culinary basis, and if I am being completely honest, I rather liked those snack boxes BA offered. 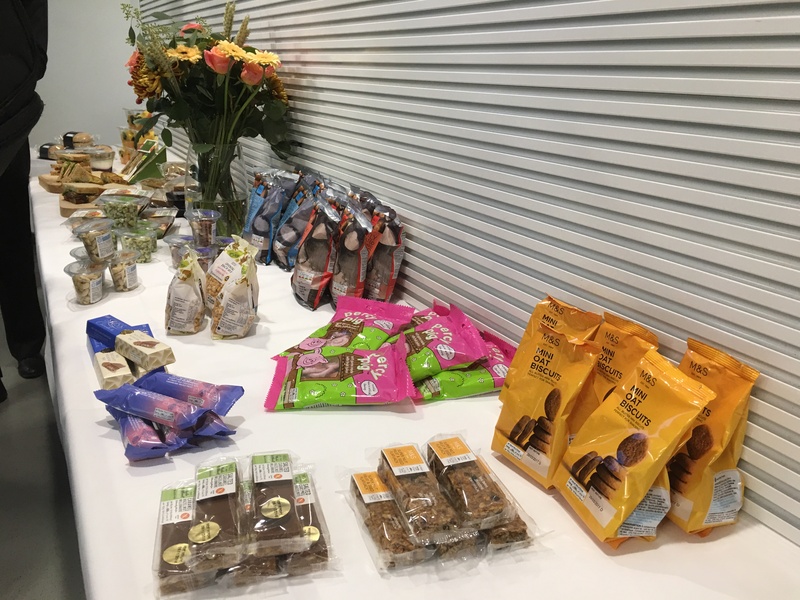 The free service cessation is absolute – it even extends to coffee, tea and water! What will it cost? 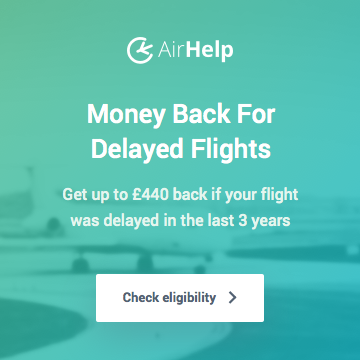 Can I pay with Avios? 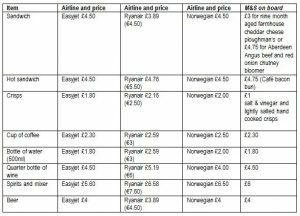 BA’s communications included a number of example prices, which are set out below. Note that in addition to hard cash, you will also be able to pay for the food and drink with Avios (using the BA App or your BA Executive Club card), and where we had an Avios price flagged to us, we have included it next to the cash price. For all the examples we have seen, you get around 0.8p per Avios point. This is not at all bad, although it’s not amazing. 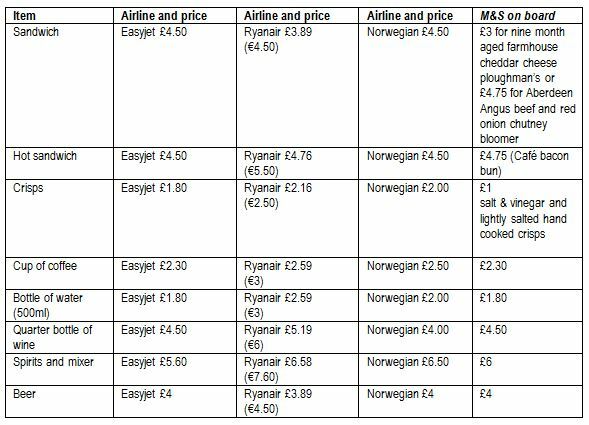 Also bear in mind the cash prices here are not exactly cheap, so unless you really were going to pay for the food/drink otherwise, you may be better advised to channel your Avios spend elsewhere. Classic fruit salad with pineapple, melon, mango, apple, kiwi and blueberries (£3.10). 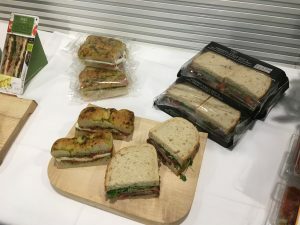 Apparently these sandwiches are, and I quote, “fortified with both vitamin D (good for healthy bones and teeth) and added fibre helping customers boost these essential nutrients, providing at least 15 per cent of the daily recommended requirement of Vitamin D. Because of their strong umami flavours, the sandwiches work particularly well at altitude, where taste buds behave differently“. I wasn’t entirely aware that my taste buds had the capacity to “behave” (or not), but good to know that BA are looking out for me here. 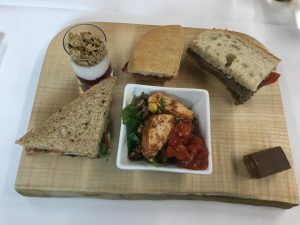 BA will otherwise offer customers a full bar service (drinks supplied by Tourvest, not M&S) with soft drinks priced from £1.50 and alcoholic drinks from £4. 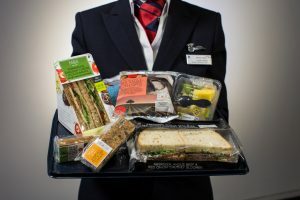 Club Europe (short-haul Business Class) customers will continue to be offered a full, complimentary menu. I appreciate this point may be a touch controversial, but I’d argue that to call in-flight dining “free” is a misnomer in any event. You pay for the flight, and the food and drink is part of that, so it’s not free. 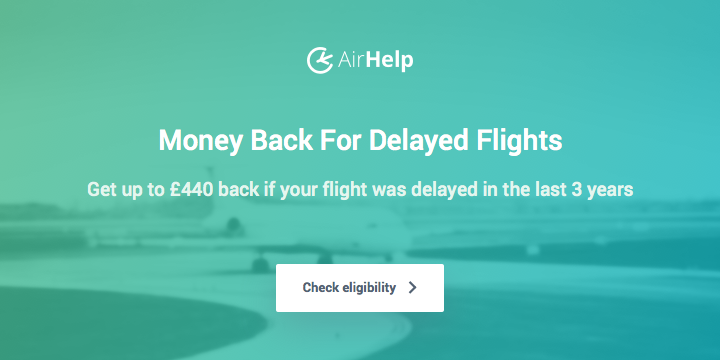 Therefore removal of the “free” food (or “food you don’t have to pay any additional cash for when on the flight”) should lead to better service elsewhere, including better value tickets. Grossly naive? Probably. It’s the little things about BA that I appreciated because they weren’t available on other short haul airline. Free food and drink, free newspaper, free seat booking, free seat selection. When the little things go, why would I stay with BA when I can get the same service from the likes of Easyjet at a fraction of the price? I can’t understand the logic of any of BA’s changes this year. It makes zero sense from a customer point of view. Totally agree, its the small extras from BA which made most think twice before opting for a cheaper flight with a lesser known carrier and opting with BA. Its just seems they are on a collision course recently with heading to the bottom as quickly as possible. I think it will take a while but people will vote with their feet or bums! Removal of free water even if dispensed in a plastic cup for passengers is IMO taking things a little too far for BA. I believe these reductions will effect BA’s overall customer perception, they are no better than a budget airline now for short haul flights. Yep, certainly from the regions there is basically no reason at all to fly BA short-haul now, and even from London I would just focus purely on whatever works out cheapest and has the most convenient flight times. 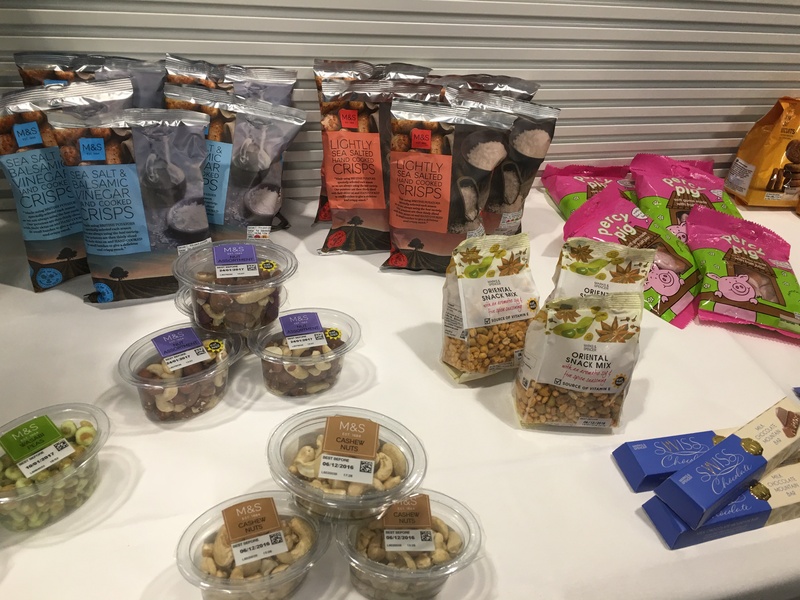 Andrew is right – the little things all together did make a bit of a psychological difference, so that spending more to fly BA made sense because it just felt a bit ‘nicer’ somehow. Particularly being the flag carrier, the decision was more emotional than strictly rational in terms of actual economic value, but that’s what branding is all about! As a customer I think this is a mistake, but obviously I haven’t seen the internal financial data and I can imagine that the business case (in theory) could well be compelling – I wonder if reality will match the theory though. 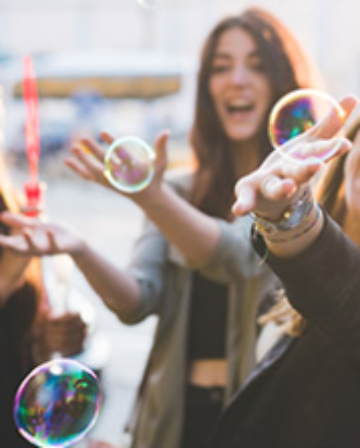 And for those that put BA above easyJet because of the Avios earning potential – don’t forget that you can earn Nectar points when flying with easyJet. Very few people seem to know this. I wonder if Easyjet might be interested in a MAN-LGW schedule. Offers a little competition against BA’s route and Gatwick is their biggest hub I think? Virgin’s Little Red didn’t succeed on that route, but that was before all the BA cuts recently. If Easyjet offered competitive prices I’d be very tempted. I would love to see more domestic competition from the LCCs. If I’m going to London itself I’d always rather just take the train rather than fly (from the North of England), but if I’m connecting at one of the ‘London’ airports to somewhere else, then I’d much rather fly down. I wonder if they could get the economics of a more traditional style hub element within their operations to stack up – I suspect they might be re-examining the idea very soon! With the rise of long-haul lccs I think it could work well- easyjet/ryanair down to Gatwick and then Norwegian to the USA for example. 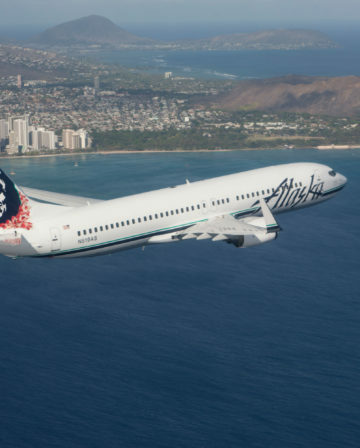 What is the definition/length of a ‘short haul’ flight? BA specifically labels its short-haul Economy flights as “Euro Traveller” (or UK Domestic). As you can probably guess, Euro Traveller means flights within Europe. 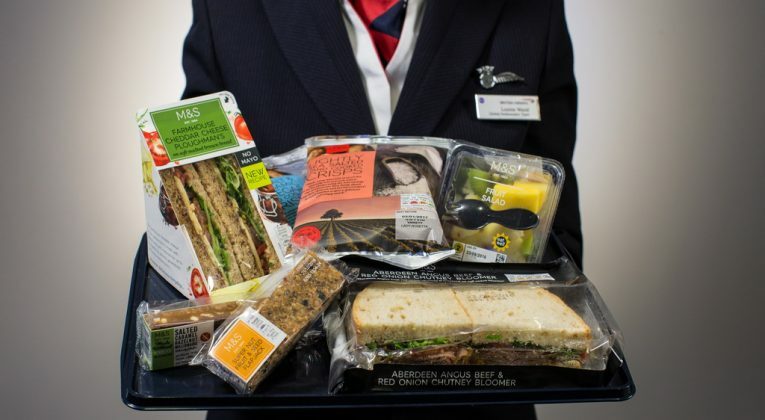 It’s these that will lose the free food and drink, rather than the long-haul Economy (“World Traveller”) flights. 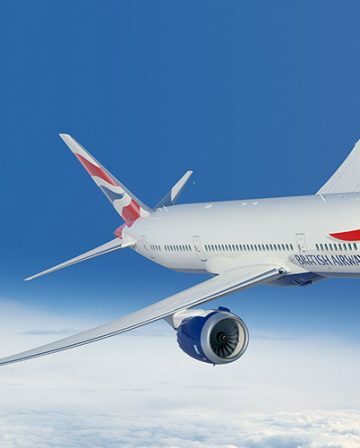 Full details of BA travel classes can be found here.